Our company was formed in 2002 and we have steadily grown into the successful and dependable company that we are today. Erfanian strives to deliver the highest level of craftsmanship in the housing industry. We only undertake enough projects per year to ensure personal quality control and precise detailing to our houses. We pride ourselves on punctuality, honesty and quality and these are our essential priorities that form the foundation of our business. Erfanian consists of dedicated managerial team and qualified craftsmen. We have a very strong system in place to ensure your home is delivered to your comfort. Whether it units, town-houses, apartments or homes, every construction is our home before we deliver it to you. With more than 20 years of industry experience specialising in new homes, extensions and renovations, MJ Bright Builders offers clients a complete personalised service, with company owner Matt Bright personally overseeing all projects. The company can facilitate the development and submission of plans and permits to make your new home requirements progress as smoothly as possible. As a family-owned and operated business, MJ Bright Builders takes great pride in always meeting deadlines and working to schedules, which is a testament to the quality of workmanship and reputation. Whether you are seeking a commercial or residential building, MJ Bright Builders can facilitate the development and submission of plans and permits to make your new home requirements progress as smoothly as possible, bringing your concept or vision to life. 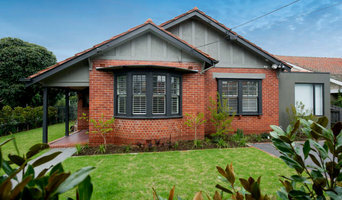 Hanson Building are high quality, boutique builders specialising in renovating and extending family homes in Melbourne. We work closely with architects and architectural drafters to complete projects on time and on budget. We pride ourselves on our attention to detail. Melbourne’s Eastern Custom Home and Townhouse Specialist, Milara Building and Development, was established to deliver custom homes in Melbourne’s East with a full turn key solution while maintaining the highest level of quality, value and service. We are a family business driven by our personal pride in the work we deliver to clients. Our Directors Michael and Lara have an intentional focus on building custom quality homes and townhouses in Melbourne’s eastern corridor, not volume building everywhere, and we are proud to say that. Living in Melbourne’s East is so much more than a location – it’s a way of life. Both of our directors grew up, live and work in the area and the east is something they are passionate about. We understand that building your custom home is one of the biggest investments a person, couple or family will make so we ensure that we are as available, transparent, informative and professional as possible during the process. We appreciate that the building process can initially be perceived as stressful, daunting and even overwhelming at times. Our mission at Milara Building and Development “MBD” is to constantly challenge the benchmark of quality custom home delivery in Melbourne’s East. We have the goal of setting industry standards of service and workmanship. We aim to positively impact how the building process is perceived by our clients by making the journey as informative, enjoyable and hassle-free as possible when we Design. Build. Deliver your dream. Our experienced team of professionals also live and work locally and have been delivering first class service and excellence for over a decade. The MBD build experience is tailored to the needs of the client. So, if you are considering estimating services, design and construct services, building your dream home or investing in a multi-unit development, you can be confident that we will deliver a product that both we, and you, can be proud of. Don’t waste your time and contact Lara and Michael today to discuss the endless possibilities. Byde Constructions over the last 30-years has developed a reputation for excellence as a master builder of tailor-built, high quality construction. A family-owned and operated business, Byde Constructions is recognised within the industry for their outstanding services to deliver superior workmanship and professional construction management. 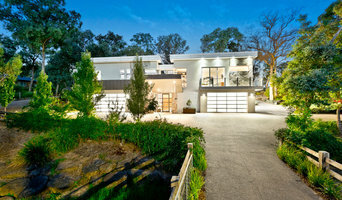 It’s this reputation and commitment that Byde Constructions continues to grow as one of Melbourne’s No.1 Home Construction and Renovation companies. 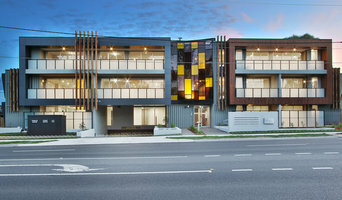 Founded by Master Builder Peter Broadhead in 1985, Byde Constructions has developed a reputation for delivering exceptional customer service and impeccable constructions across the Bayside area. Peter has over 35-years experience as a building professional in residential and commercial construction as well as project management, specialising particularly in renovations, custom-designed and period homes. Acclaimed for personally supervising every aspect of the constructions to ensure all the needs of the customer are meet at every stage for a smooth delivery for all parties involved. Peter’s career started in 1979, completing a Certificate of Technology in Building Studies. He then joined a large building & construction company, completing his apprenticeship in 1983. He gained many life skills during this time which have assisted him in managing his own business since 1986. Having been a Bayside resident his whole life, Peter is passionate about the heritage of the region. 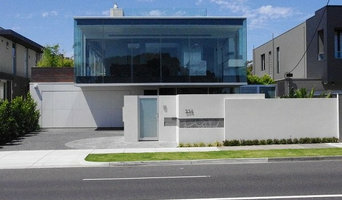 MPR Building has become one of Melbourne's premier custom home builders. Whether your looking to customize and build your dream home or a personal development, MPR Building is there to help you from concept to completion. We have many years of experience and passion for innovative design and finer details that may get missed elsewhere. MPR guarantees Quality custom home designs and a team of professionals who are with you every step of the way throughout the construction process. Feel free to come and visit us at our new offices 4/75 Bay street, Brighton. Meet the team, including our onsite architects "Studio Architects" with any questions you may have in regards to building or design. Were here to help with any upcoming developments, new builds, extensions or joint ventures. 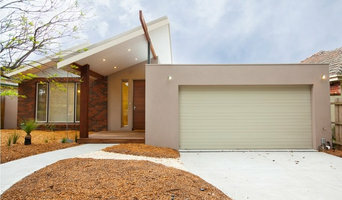 Hille’s Home Extensions is your Master Builder. We are specialists in the design and construction of home extensions. When you work with us you will benefit from an outstanding reputation and over 50 years of industry experience. We are a dedicated team of qualified professionals who work to deliver the latest in building design, trends, materials, services and technologies. White Diamond Services was established to offer multiple levels of service in the building, commercial and residential markets. White Diamond Services is known for its high standard of finish, its focus on customer service and the ability to work within any budget, all of which are seldom achieved in the construction industry. The founders of White Diamond Services are committed to the development of a recognisable brand throughout our target market. By virtue of having over 40 years combined experience in the construction industry, White Diamond Services will endeavour to use this to great effect, in all aspects of operation, from planning till finish. Our company is a one stop shop where the entire process is managed by us. This gives us good rate power with trades which is passed onto the client, as well as the knowledge that work will be done to our high standards throughout. At Dynamic Premium Properties we love to transform ordinary houses in to dream homes so that you can have the perfect living space you deserve. As an experienced house builder we have enabled people all over Melbourne to renovate, extend and improve their homes for nearly two decades. Because we give the utmost priority to you and your needs, you will always get exactly what you want from your home. Our dedicated team is always on the lookout for new trends and styles to make sure that you’re not missing out on the latest house designs and ideas. So, please do enquire about all your home improvement questions from us and we’ll gladly help you. With the highest quality of workmanship in the house construction trade we can transform your outdated house in to a luxurious, warm and relaxing home. Above all, we have managed to win over reputation from countless families in Melbourne for the top class work we do. As a small team of skilled experts, we pride ourselves in bringing you joy and happiness you deserve in your home. Regardless of the type of work we always give impartial and honest advice to any customer you happen to contact us. We offer garden design, construction and maintenance to suite all budgets: Paving, Waterfeatures, retaining walls, feature walls, irrigation systems, rainwater tanks, new planting, natural and artificial turf, detailed pruning, garden facelifts and pre-sell makeovers.